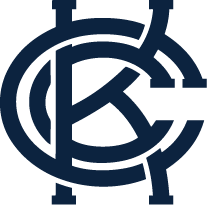 The Cauldron, works as a loose association of independent supporters’ clubs, including local groups like the King City Yardbirds, the KC Soccer Misfits and Brookside Elite. Further, there are regional groups, like the Mass St. Mob in Lawrence, the CoMo Cauldron, Southern Voodoo in southern Missouri, and groups as far afield as Tulsa and even Milwaukee (though they appear to have liked KC so much, they’re moving here). These independent groups do their own thing, including making their own scarves and other gear, and work with The Cauldron umbrella organization as need be. While it may seem at times like the proliferation of these groups represents a “Monty Python’s Life of Brian”-style Balkanization of support (The Northlander = The Popular Front of Judea), it is, in fact, the whole idea of the independent supporters’ clubs. By giving those groups a support system and a voice, they have grown and enriched the section (and the stadium) as a whole beyond anyone’s wildest expectations.This concept is even playing out in other areas of the stadium, with the South Stand SC working as an umbrella for other like-minded folks (The Boulevard Battery, The Wedge, Ad Astra SC) to build active support on that side.